Do I have to remove existing curtains to expand my data center enclosure? Do I need a top to my data center enclosure? Do I need cold aisle or hot aisle containment for data center server air flow? How can you block air in server racks? How do I determine the best height for data center enclosures? How do I suspend data center curtain panels? What air sealing accessories should I use for my air flow management? What are the advantages of rigid panel systems for server rooms? What are the advantages of soft wall panel systems? What are the advantages of strip wall panels for data center cooling? What is the best end of aisle containment door for a server room? Which data center design should I use for airflow management? Which mounting system is best for my data center design? Home » FAQs » What are the advantages of rigid panel systems for server rooms? 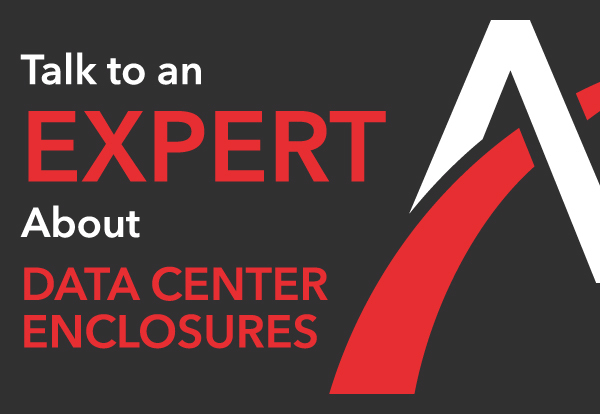 When developing an air flow management plan for your data center, the design should include a panel system for optimal server cooling. Each panel system – strip, soft wall and rigid- has its advantages. Rigid wall systems can be especially beneficial for companies with larger server rack designs. Because rigid panels create a more permanent enclosure than strip or soft wall panels do, they also provide a more airtight seal. If you plan on maintaining the same location for your data center will into the future, rigid wall panels could work well as a server room cooling solution. Rigid wall panels are composed of plexiglass or polycarbonate and aluminum materials which can be mounted permanently for exceptional containment. In addition to contributing to excellent air flow management, rigid panel systems have enhanced aesthetics. The rigid panel model provides a clean, polished look for your data center design. Contact a data center design specialist to see if rigid panel systems are ideal for your server rack air flow management plan. They will examine your layout to see if rigid panels are an advantageous solution for server room cooling needs.